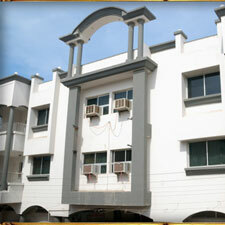 Hotel Shree Darshan is centrally situated at Dwarka. It is one of the luxurious hotel in Dwarka with spacious A.C. and Non A.C. rooms with attached bath and 24 hrs. room service. It is a place of homely comfort with ECO-friendly atmosphere. Dwarkadish Temple, Bus Stand, Shopping Centres are 5 to 10 minutes walking distance from the hotel. Extra charges for extra person, Rs.60.00 for non A.C. rooms & Rs.120.00 for A.C. rooms. Rates may differ during festival season. Please confirm rates with reception. Check Out time 3.00 P.M. Parking is available in Hotel’s campus. If you have not decided yet or wants to customize tour itinerary or hotels listed above in "Gujarat Hotel Package in Hotel Shree Darshan, Dwarka Rs.850/-", then we can change the travel itinerary and make a personalized, tailor-made holiday package, especially for you. We can modify this travel package as per your itinerary, budget, duration and the tourist places you would like to visit, including transportation and airfare should be included or not. Please fill the form below to contact us.